I still remember the first time I filled out a tax form. I felt very official and bureaucratic; I was an important part of the American economy. Americans started paying income taxes in 1913, and it certainly didn’t take long for someone to come up with a cocktail to, shall we say, “celebrate” the opportunity. Alas! that the name stuck. They could have called it anything else, even “Bittered Bronx,” but no. It’s a delicious cocktail saddled with an unfortunate name. It amuses us to drink it on April 15, but few want to think much about something called The Income Tax the rest of the time. 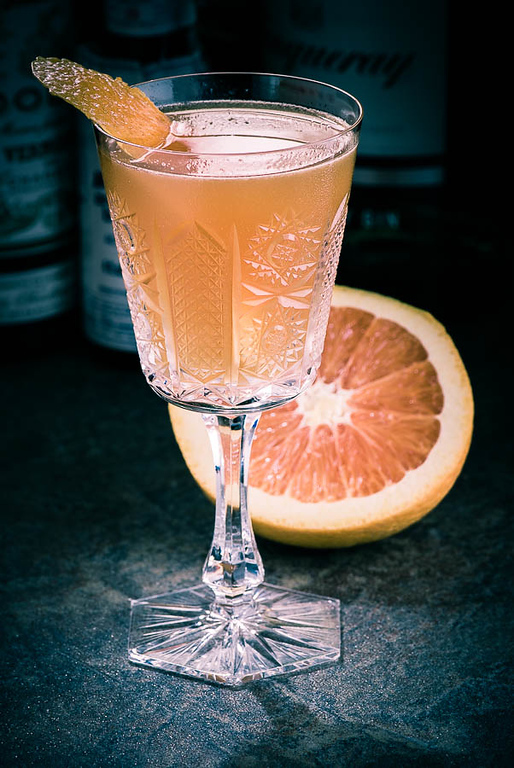 Shake well (or stir); strain into well-chilled cocktail glass. I like a good juniper-forward gin for the Income Tax. The ubiquitous Tanqueray is very good; so, too, Philadelphia’s Bluecoat. I really like Regan’s 8:1:1 ratio, much drier and ginned up than the original; there is clearly room for personal preference in this recipe. Regan emphasizes the orange juice, too, compared to Craddock’s original version, and it is a good choice for modern tastes. Orange juice is a wild card — you’ll want to tune your recipe to the sweetness and citrus of your local produce. In my market, this is a good time of year for Cara Caras, but Valencias would be good, and there’s always the ubiquitous Navel. A man has to know his orange’s limitations. “Feeling bitter in the Bronx — the Income Tax Cocktail” at cold-glass.com : All text and photos © 2013 Douglas M. Ford. All rights reserved. Reblogged this on I Can't Stop Raving. What a valuable public service for one of the darkest days of the year. Huzzah and thank you.